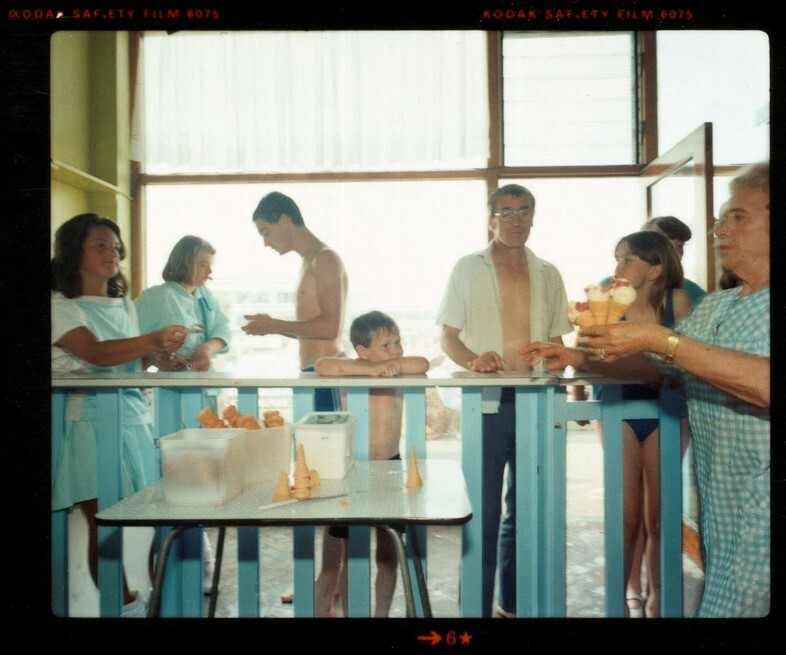 Martin Parr is one of the world’s most iconic photographers, his ability to capture the essence of Britishness unparallelled within contemporary image-making. 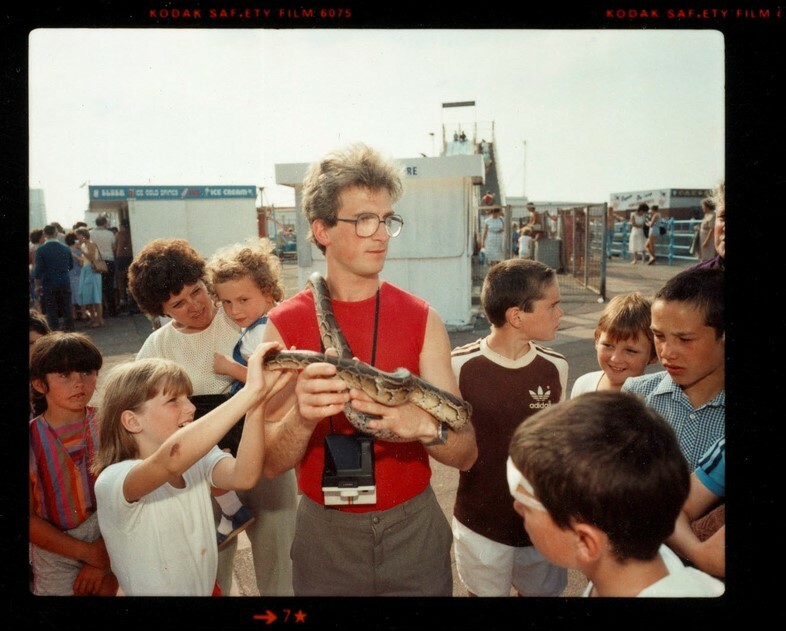 The series that first propelled him to success – his mid-80s documentary series The Last Resort – was an intimate freeze-frame of New Brighton, a time capsule of the holidays working class families during Thatcher’s reign. Shot in colour during a time where traditional black and white imagery was the exclusive medium of ‘proper’ photography (a trend first dismantled by Americans like Stephen Shore and William Eggleston before Parr brought it across the Atlantic), The Last Resort signified a shift in the way photography was understood in the UK. 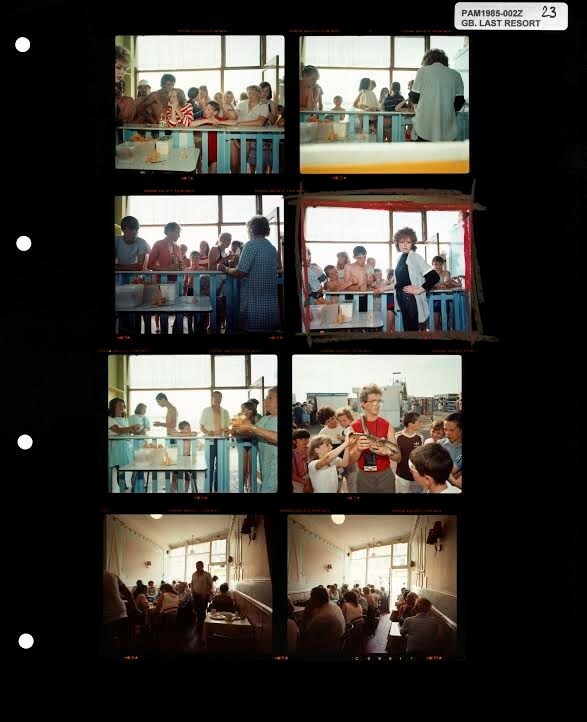 Now, Magnum Photos has launched an auction of some of its most precious contact sheets, including one of Parr’s from the series, to raise money for the International Committee of the Red Cross. In honour of such a brilliant collaboration, we spoke to Parr to discover the story behind this legendary series. In fact, what Parr captured was working class reality; there is nothing innately simple or conformist about his characters, they are just portrayed as is. It was the truth of their lives that seemed to shock the capital’s art scene, more accustomed to the established divisions that eighties Conservatism bred. “The thing about shooting in colour is that you see in colour,” said Parr. “Plus, I used flash, which adds a surreal touch and somehow that makes it more real. It is hyper real, in a sense.” And this true aesthetic of observation, precisely captured over three consecutive summers, shocked those familiar with a more glitzy, consumerist understanding of holidays; the chip-shop wrappers and cigarettes dangling from mouths at the rundown resorts seemingly at odds with what a holiday ought be. But, in the series, there is a warmth and an honesty that was scarcely applied to the lives the working classes of the time (which were, generally, completely ignored by the art world – and even more so by politics): they are a snapshot of the way things were, and their honesty and familiarity has sustained their impact and relevance into the present day.